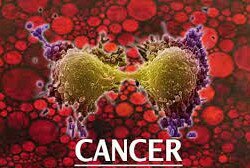 THERE is need to design strategies that would help to implement home-grown solutions in combating cancer to offer hope to those afflicted by the disease, Lusaka deputy mayor Chilando Chitangala has said. Speaking when she officiated at a cancer smart health talk in Lusaka, Ms Chitangala said cancer could be treated if detected early, hence the need to raise awareness to reduce the high levels of cancer cases being recorded by the health institutions. She said the theme, ‘‘How we can work together to increase awareness about cancer to help save lives’’, was in line with Government’s efforts in cervical cancer prevention. She stated that the recent Human Papilloma virus (HPV) vaccination programme, which prevents young girls from getting infections, was but one of the strategies of preventing and possible combating of cancer. Ms Chitangala however noted that the Cancer Diseases Hospital in Lusaka had recently completed phase two of its expansion programme which included the provision of 252 new bed spaces for men, women and children, greatly enhancing the quality of life for patients by improving access to health care. She said Government was not oblivious to the high cervical cancer rates and was taking action to ensure that Zambia eradicated cervical cancer, stating that Lusaka would play a significant role in the fight against cancer through awareness and prevention programmes. And Zamtel corporate affairs manager Patience Chisanga said the telecommunication company was committed to making a difference by empowering communities as part of its corporate social responsibility programme. Ms Chisanga said Zamtel had realized that awareness campaigns on cervical cancer prevention played a big role in breaking the barriers that existed as a result of misconceptions and lack of education in cancer diseases. She said Zamtel was happy to support the Cancer Smart Health Talk which was aimed at increasing cancer awareness in Zambia. Meanwhile, executive director of the Zambian Cancer Society and twice cancer survivor, Udie Soko, described cancer as ‘‘unwelcome guest and peculiar animal which is up to no good’’. Ms Soko said she first suffered from cancer when she was 23 years old and had another encounter with the disease last year at 49. 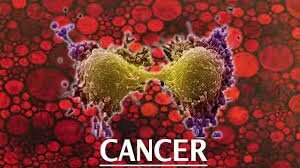 Cancer prevention national coordinator at the Ministry of Health, Dr Sharon Kapambwe, said October being the month of cancer awareness, men and women should take interest in medical check-ups and check for early signs of breast, cervix and prostate cancer which is easy to prevent in early stages. She said there were many different cancers which were difficult to prevent but said breast and cervical cancer had many levels of prevention and that no woman should die from cancer. Dr Kapambwe said cervical cancer was the commonest cancer in Zambia with over 600 women undergoing treatment as compared to breast cancer.